Testimonials | International Medcom, Inc.
“The device is hands-down best in class. Utilizes the same pancake-style GM tube used in much more expensive equipment. Evaluating background radiation with traditional high-quality instrumentation is quite noticeable and makes people nervous. 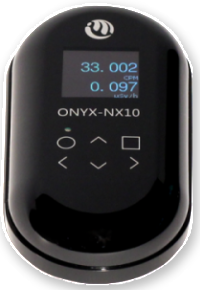 This device gives the same sort of accurate results and no one looks twice at it on the plane, in a market, on the street, or debunking the “fukushima cloud” that some believe to be decimating our shores. Directors of Project SWOOPE (Students Watching Over Our Planet Earth), Los Alamos National Laboratory, Newsletter of the American Chemical Society Division of Analytical Chemistry, Spring 1991.